Daiwa Kasei was established in 1972. 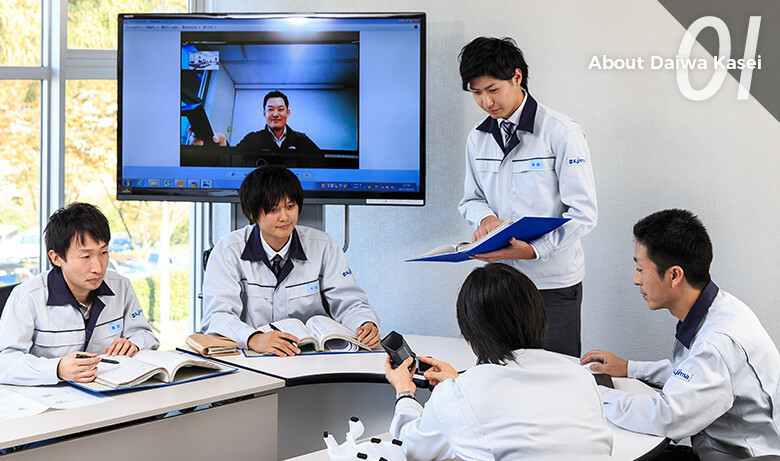 Our company moved to Okazaki City in 1981 and has grown with the local community since then. As a corporation based in Aichi Prefecture, the manufacturing center of Japan, Daiwa Kasei serves as the driving force for world-leading domestic automotive manufacturers. We handle products in the specialized field of plastic fasteners for automobiles. In international competition, Daiwa Kasei "considers matters from a global perspective and acts from a regional perspective"—this is the same perspective used by automotive manufacturers striving to provide even better products. Through small parts, Daiwa Kasai seeks to create a safer, more convenient, and more prosperous society. 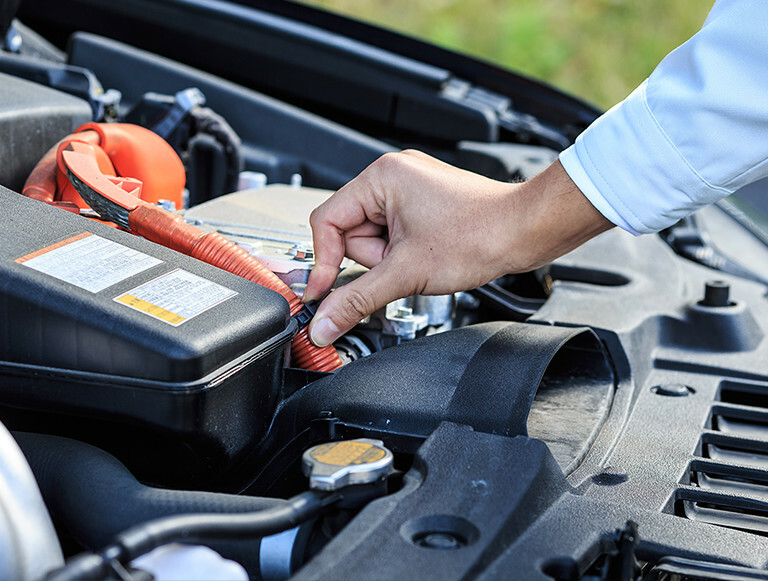 To achieve this goal, we are implementing systems to respond to the advanced needs being pursued by the automotive manufacturers who are our clients. To realize the speed and quality in component production and achieve short work time needed to win out over international competition, we attach great importance to the concept represents the very starting point of “product making.” This idea is embodied in our approach of “making our production equipment.” In these days when it is so easy to leave “produce something” to machines, rather than simply putting ourselves in the hands of machines, our approach is to actually make those machines ourselves. Product making at Daiwa Kasei is broadly divided into two flows. Product making at Daiwa Kasei is broadly divided into two flows. 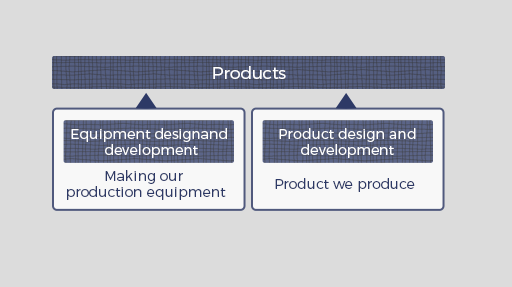 The first of these is the flow to design and develop “products we produce” (i.e. product development) and the second is the flow to “making our production equipment.” This is the flow of production equipment development. These flows can be thought of as two ideas: The idea for the product itself and the idea for development of the equipment needed to realize the product. It is when these two flows work together in optimum harmony that the very best products that embody the Daiwa Kasei concept of “product making” are born. Copyright (C) Daiwa Kasei Industry Co.,Ltd.